You may read the title of this post and think it sounds ridiculous. How can a Disney World vacation not be child-centered, right? Well, having just returned from a Disney family vacation, you would be surprised at how not so child-centered it can be; but only if you allow it. 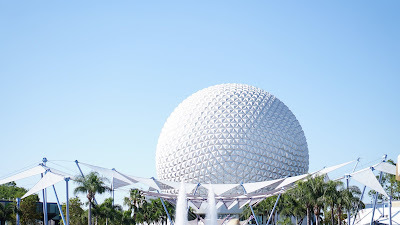 Based on my experience, I offer a few Disney vacation tips to help keep your trip enjoyable and manageable. My husband and 3-year-old son joined our extended family for a trip to Disney World around the holidays. Disclaimer 1: We are not huge Disney fans, but our other family is and we went to join them for a family celebration. In general, I enjoy Disney movies and my son watches some of them. However, I’m not a fan of some of Disney’s marketing practices (like marketing to newborns) and I do think it contributes to the vast over-commercialization of childhood. That being said, we decided this was a good time to join our family on the trip and for our son to see Disney with his extended family. Disclaimer 2: My background is in Sociology so I tend to approach large social gatherings (like Disney World) from perhaps a more analytic/social science perspective and that’s part of the goal of this post. 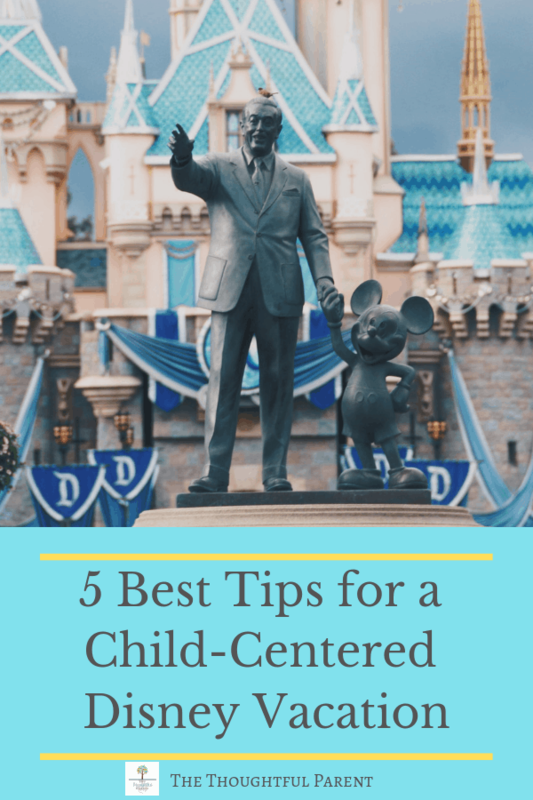 My other goal with this post is to really offer some tips for those who may be planning a trip to Disney (or other similar amusement parks) with young children on how to enjoy the trip and not overwhelm your child. For many families, a visit to a park like Disney World comes with a lot of anticipation and high expectations. Most families save money for months for a trip like this and if the kids know about the trip ahead of time, they are probably dizzy with anticipation. If you are traveling with young children (under 6), I encourage you to dial down your expectations of how much you will be able to reasonably see. 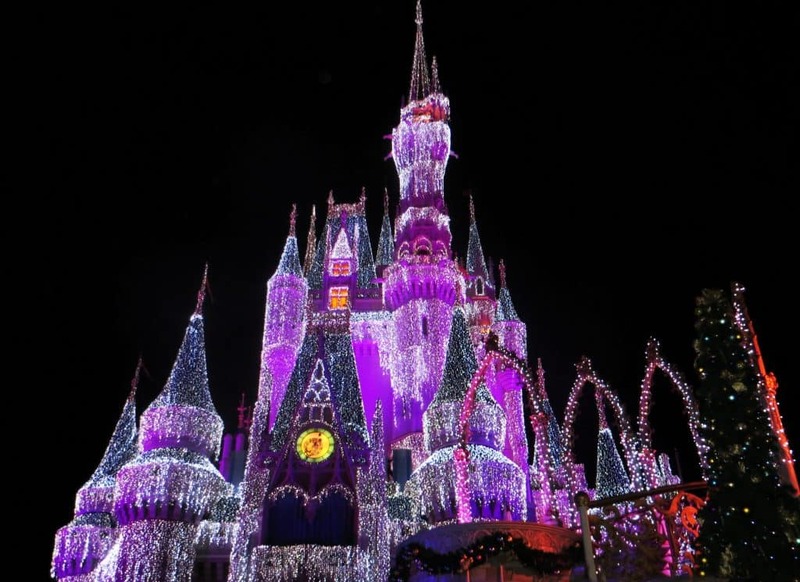 We visited Disney World at a very busy time (near New Year’s) and it was evident that high expectations were clearly at play. Those of you with young children know that they are easily over-stimulated and do not usually handle waiting well. These factors combined with large crowds make for a difficult combination in a place like Disney World. I saw many miserable kids waiting in lines or sitting in strollers for long periods of time. Many families seemed reluctant to cut the day short because they wanted their children to see one more thing or ride one more ride. I would encourage parents to not be afraid to leave if your child gets overwhelmed and just can’t cope with over-stimulation anymore. When you arrive at a park like Disney (especially at a crowded time), there is a tendency to make a mad dash to do as many attractions/rides as possible. Of course, the rides and shows are the main point, but try to allow your children some time to just hang out and play. On our visit, we found several play areas for young kids and let our son run free for a while. This does a world of good for keeping young children in good spirits. In fact, our son said several times, while waiting to get on a ride or other event, “Mom, I just want to go play.” This speaks volumes, doesn’t it? With time and financial constraints in mind in a place like Disney World, it is easy for adults to completely run the agenda and not let the kids have some sort of say in what happens. Of course, young children cannot completely dictate the schedule but allowing them even a little input in what you do each day can really keep them on track. My son is only 3.5 but we would ask him which order he would like to do things or pick one ride he wanted to ride again, etc. This really helped him stay motivated when we were doing something he was not as excited about. I think many parents do wait in line (sometimes very long lines) to see the Disney characters that their child wants to see. This may seem like a waste of time, but I think it really was worth it to take the time to do this. For very young children with vivid imaginations, the idea of having a favorite character come to life right in front of them is really special. I really enjoyed seeing my son get excited to see a couple of his favorite characters (especially the ones that aren’t masked and can talk). Personally, I felt like this was more enjoyable than many of the rides. Depending on your child’s interests and personality, this may be worth the extra time. This is probably an obvious one for most parents, but coming prepared with plenty of snacks, drinks, etc. 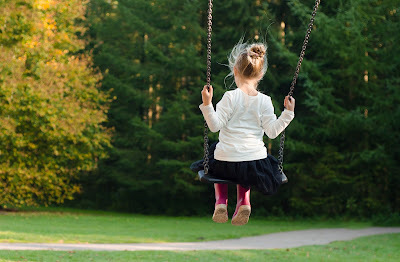 is crucial to helping your child enjoy the day. If the park is crowded like it was when we went, your child may spend quite a long time sitting in a stroller or waiting in line. Having snacks and drinks handy for these times was essential. You are allowed to bring snacks and water into the park in a bag or backpack so you don’t have to rely solely on expensive park food. *Most importantly, don’t forget this is supposed to be fun. * With all the build-up that comes with a trip to Disney World (or similar park), it’s important to remind yourself that is supposed to be fun, not work. Some parents I saw looked like they were on a mission to get as many events accomplished in one day as possible. Personally, this sounds like a recipe for disaster to me. A trip like this is tiring, especially with young children, but try to remember to just enjoy the time spend with your family and not put too much pressure on yourself. In the end, I was glad we took this trip to Disney World, even though we are not huge fans. It was great to spend time with family and nice to see my son enjoy the park with the innocence of a young child. *This post contains affiliate links. Purchasing through these links helps support this blog at no added cost to you. Thank you for this insight about Disney parks. I have a similar approach to it. I took my 2 kids last year and I have vowed to not take them again until they are much older. My son age 3 then, did not enjoy it at all. We spent our time at Disneyland feeding the ducks. My daughter wanted to go at an ever fast pace from ride to ride. It was a hard day for us as a family and my expectations were way too high of what the Disney experience was going to be like. I now see it differently…. Well said and very reasonable advice. In particular, I really like the idea of managing expectations. At the pointed risk of being a fuddy-duddy, institutions like Disney make their bucks by selling a supposed fairytale and delivering huge crowds and long waits. One of the best articles I have ever read, and everything I feel, but expressed much better than I can. And, since less is more, I'll let that statement and the article speak fir itself.